Human reactivity is the source of most of our interpersonal problems and pain. 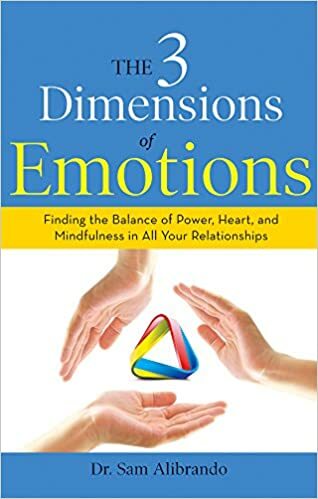 The 3 Dimensions of Emotions introduces the concept of working the triangle, a unique practice that provides a compelling yet practical road map that can help you move from painful reactivity to productive pro activity in your relationships. And it works just as successfully for a CEO of a Fortune 500 company as it does for a parent struggling to communicate with a teenager. Sam Alibrando, PhD, is an organizational consultant, psychotherapist, author, teacher, workshop facilitator, collaborative mediator, and executive coach. He has worked on the three-dimensional model for nearly 35 years and has taught it to thousands of people. Dr. Alibrando is president of APC, Inc., a psychological consulting firm. He is currently an assistant professor at the Chicago School of Professional Psychology, where he teaches executive coaching. He resides in Pasadena, California. Cassandra's review- The book was personally, tough for me to get through because it is not super easy to understand but it was readable. There is so much more included that can not just be read and left. I will have to go back over each section several times in order to really benefit. I do think that with the book I will benefit but again it will just take me a little longer. I can picture the topics droning on in a lecture or at school and just kind of getting a tired feeling of overwhelming, but you do not have to rush through the book and I would recommend that you do not.